Panasonic has launched new OLED TVs as part of its 2018 line-up. The two high-end FZ ranges are both equipped with a 2018 OLED panel and the company’s HCX video processor. They also offer the latest version of My Home Screen and support for HDR10+. The difference is that FZ950 has a more powerful soundbar tuned by Technics. Panasonic FZ800 (FZ802 in UK, FZW804 in Germany) is available in 55 and 65 inches in Europe only. 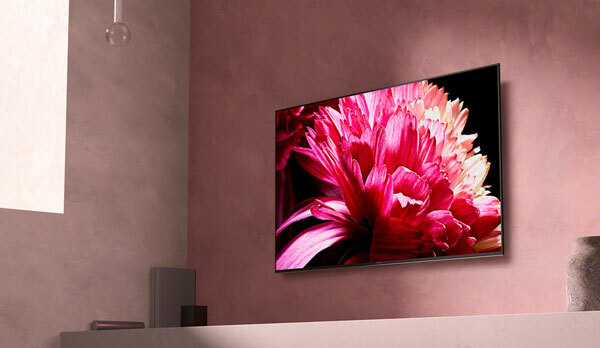 It is priced to compete with OLED TVs from LG, Sony, Philips, and others. We are reviewing the 65-inch FZ800. When I started unpacking the TV, I had to double-check to confirm that I had actually received the 2018 model because there are almost no apparent differences between last year’s EZ950 and this year’s FZ800. It was not until I attached the stand that I noticed a few changes – specifically that it seems to be a bit more integrated in the overall design. On the hand it felt a little rickety and I was able to tilt the screen from side to side even when all the screws had been fastened. The electronics box on the back takes up more space than on LG’s models but less than on Sony’s A8F (that has bass units integrated). The plastic used it almost 100% identical to last year’s EZ950 – and feels very cheap. 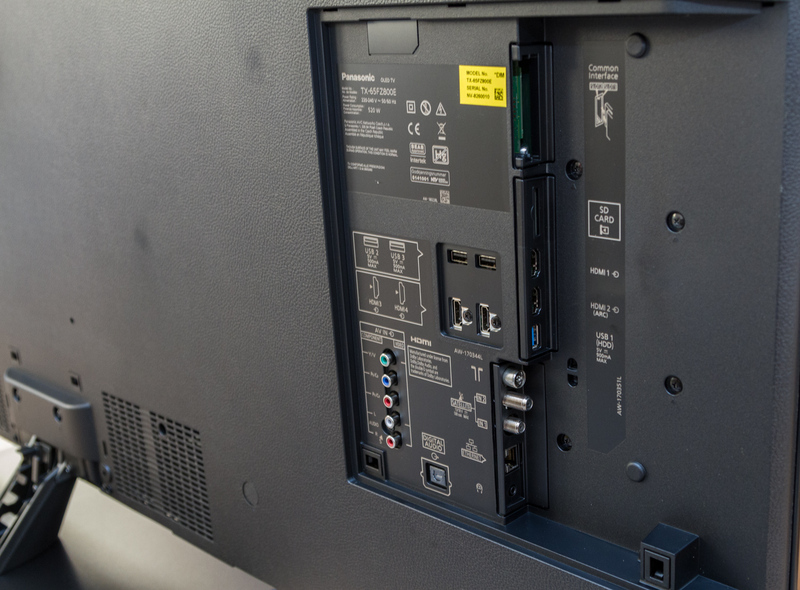 It is, in theory, possible to hide all connections behind a detachable cover but since Panasonic has once again decided that around half of all ports should point towards the wall, it is practically impossible to reattach the cover. This also complicates a wall-mount installation if you are planning to use SPDIF, more than 2 HDMI ports, the Ethernet port, and more than 1 USB port. It is simply not good enough and comes across as lazy design, especially considering that this has been a major pain point for years. 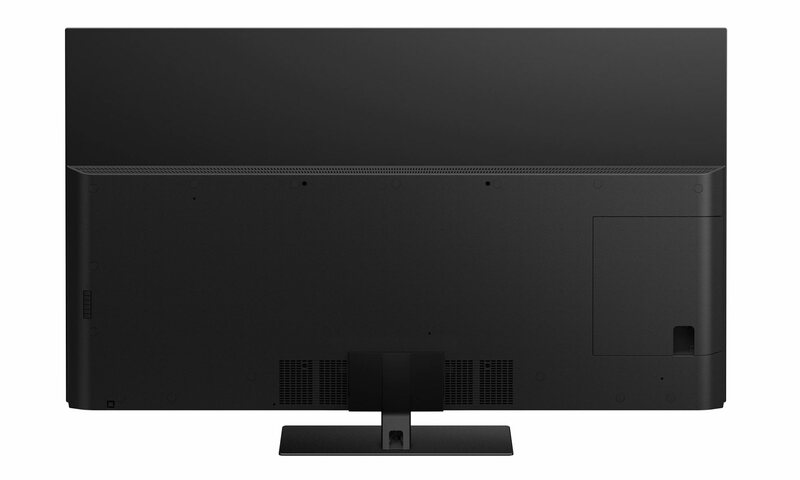 Panasonic has decided to go with a black metal frame that is very similar to what we saw on LG C8. The speakers are integrated and hidden. The TV projects sound towards the viewer in the same way as last year’s EZ950. 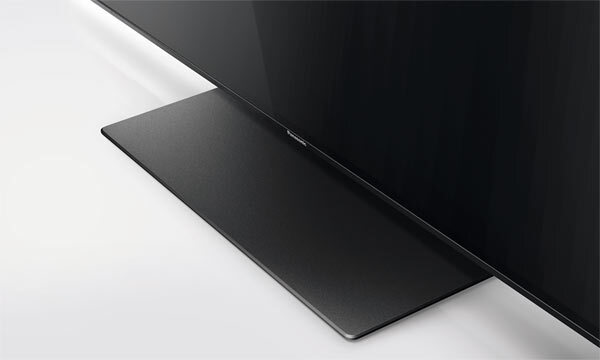 When looking at the TV straight on it does not appear as minimalistic as Sony’s model but nonetheless a pretty-looking screen. FZ800 comes bundled with a single remote control but unfortunately Panasonic has decided to ship the same version that comes included with the much cheaper LCD models. We will get back to later. There is not much to add about the reflections in OLED panel as FZ800 looks like all other 2018 panels that we have reviewed to date. OLED panels are still amongst the best in this area. Panasonic has decided to continue development of the platform that Mozilla created with Firefox OS. Since Mozilla is no longer affiliated with it, Panasonic has been forced to rename it. It is now ‘My Home Screen’ version 3.0. 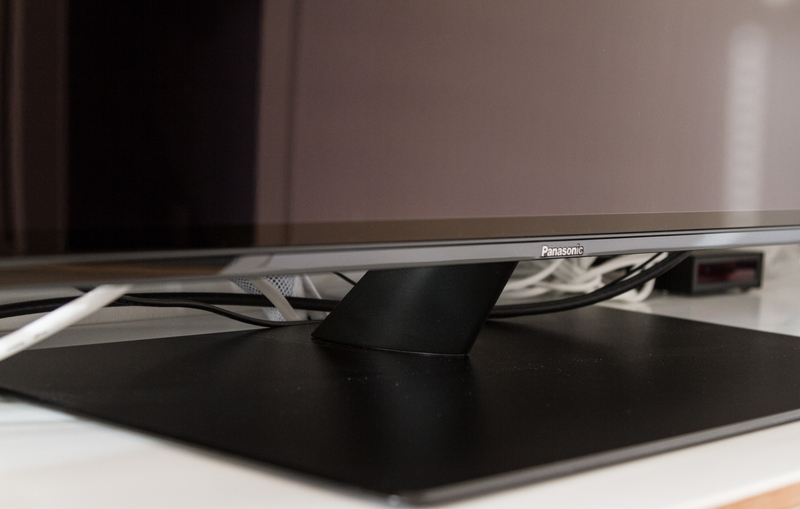 We recently published our review of Panasonic FX700 that is also based on My Home Screen 3.0. There are no differences between FX700 and FZ800 in this area so I refer to the FX700 review for more background. The platform works but it is clear that developers are not onboard. The app library is modest to say the least. It offers a few of the most popular apps such as Amazon, Netflix, and YouTube but not much else of value. 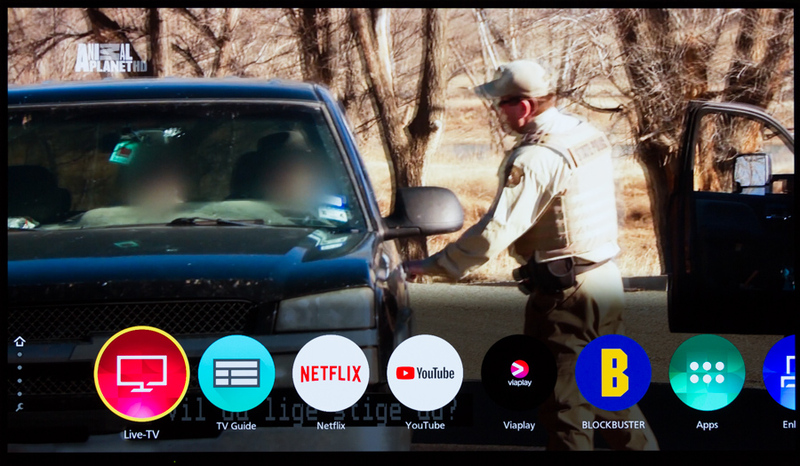 These apps can satisfy your basic streaming needs but the library is one of the weakest amongst the big TV manufacturers. As mentioned in our Panasonic FX700 review, several apps are simple webpages wrapped in a container with a shortcut icon placed on the home page. 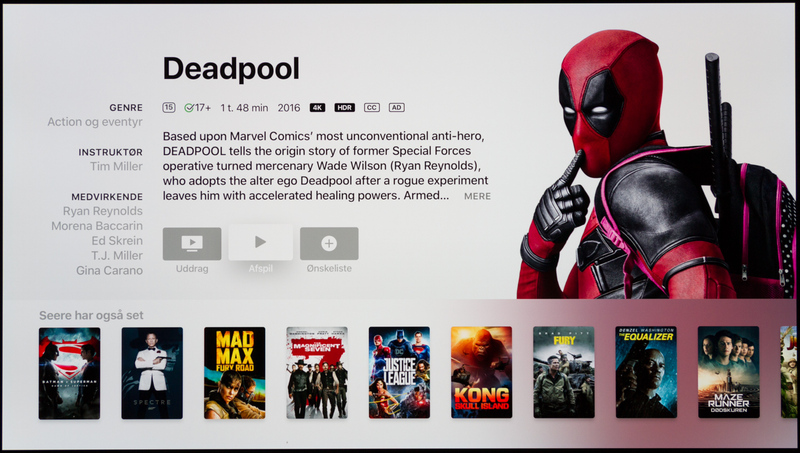 Using these kinds of apps is not a particularly satisfying experience when compared to native apps on operating systems such as tvOS on Apple TV. 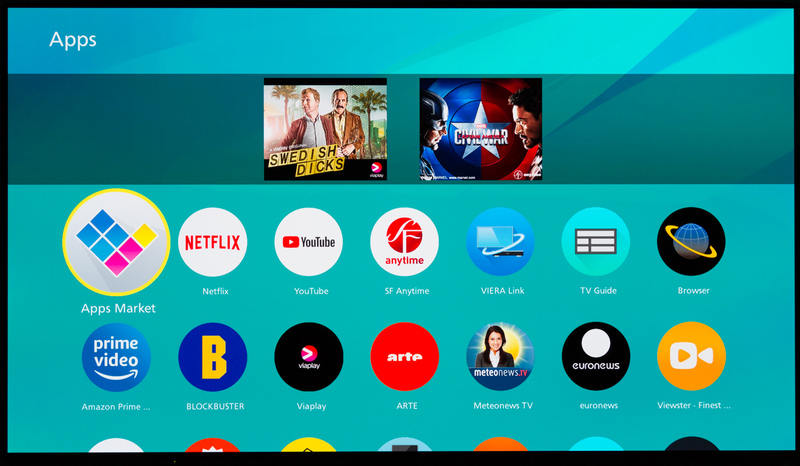 Much like Android TV, Panasonic’s platform is an overlay, meaning that you still have Panasonic’s familiar menu structure underneath. So when you are adjusting TV-related settings for picture, audio, network setup, and other stuff, you are navigating through Panasonic’s menus that are easily accessible and manageable on the surface but advanced as you step in. At times, you find yourself lost in all of the options and it is clearly catering to enthusiasts through a “more is better” principle. As an enthusiast, one must appreciate the advanced picture setting options as it is possible to tweak almost all aspects of the picture. The menus have not changed much compared to previous years’ TVs so I need to once again highlight that some areas are cluttered with pictograms, whereas others have too much empty space. It is due time for a facelift. FZ800 supports most of the video file formats that we fed into it, including HLG HDR and 100fps video via the built-in media player. The media player looks familiar and it is relatively fast and painless to use but at the same time it brings back memories of the good old days of DOS. It works but it looks outdated. Panasonic has cut prices on its OLED TVs drastically this year, which has obviously required some cost savings exercises. One area where Panasonic has decided to save on costs is with the remote control. It has been downgraded to the same plastic remote that came bundled with the mid-range FX700. Last year’s EZ950 came with a much nicer metal remote control. The plastic version is almost entirely devoid of any quality. It feels cheap. The buttons are poor and very hard to press and my experience is that the buttons around the navigational area can be especially frustrating to use. I still cannot decide whether I am most disgruntled with the remote control for Sony A8F or this one from Panasonic but it is a close race. It has a chaotic sea of buttons that either have ambiguous functions or no functions at all. The numbered buttons have letters on them that seemingly never manage to input actual text. This remote control has simply been designed for a different age when TV channels ruled. It feels old-fashioned when compared to modern remote such as those for Apple TV, Roku, and Samsung TVs. 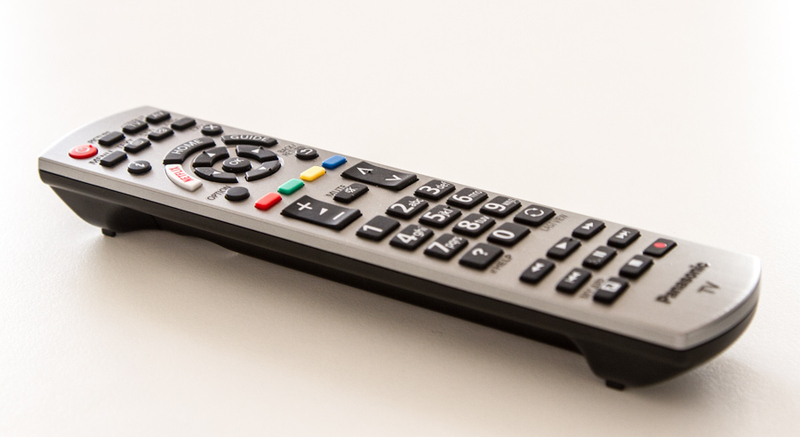 In our FX700 review we highlighted some of the curiosities of the remote control. Not everything is bad, of course, and I should highlight that one semi-positive feature is the button dedicated to changing picture modes. In the settings menu you can define which picture modes should be accessible from the button, making it easy to switch between 3 modes without having to plough through picture menus. My suggestion would be to spend a little extra to buy Panasonic’s metal remote control that is sold separately – or consider paying a little more for FZ950 that comes bundled with the metal version. As a consequence of Panasonic’s unwillingness to update its TV user interface, I have copied some of my comments from last year’s EZ950 here since I can conclude that they still apply. Panasonic’s TV menus look ancient. They have not been changed fundamentally since the 00’s and even back then they looked aged. 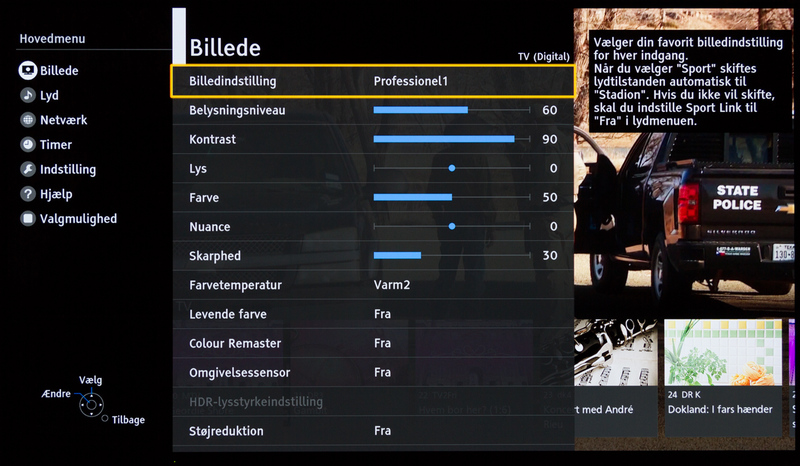 This includes the TV guide, program input, input overlay, and other menus. 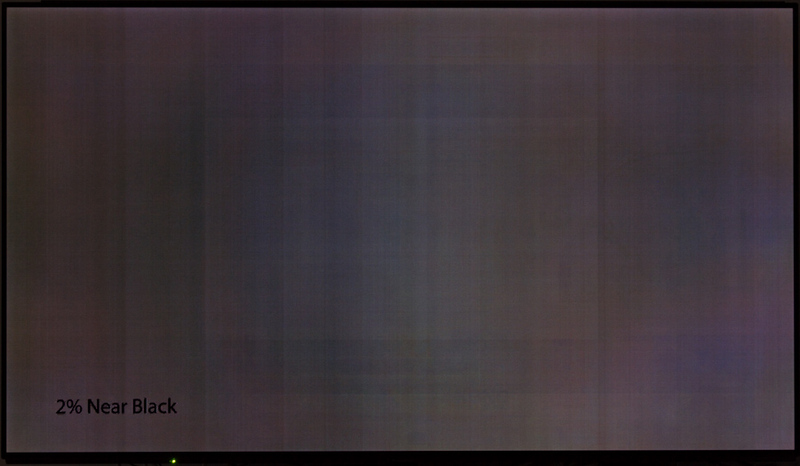 The large icons in the TV guide (picture below) take up almost 20% of the screen, which could have been used to display more channels or program information. 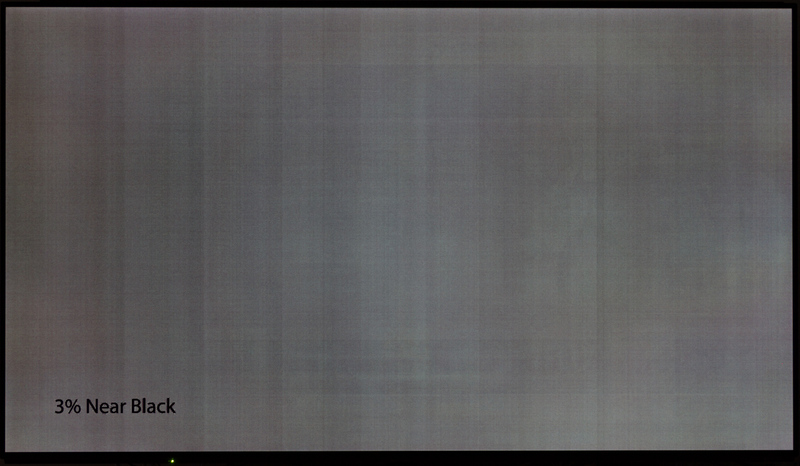 To illustrate my point I found our 8-year old review of the Panasonic G20 plasma TV and compared it to FZ800. 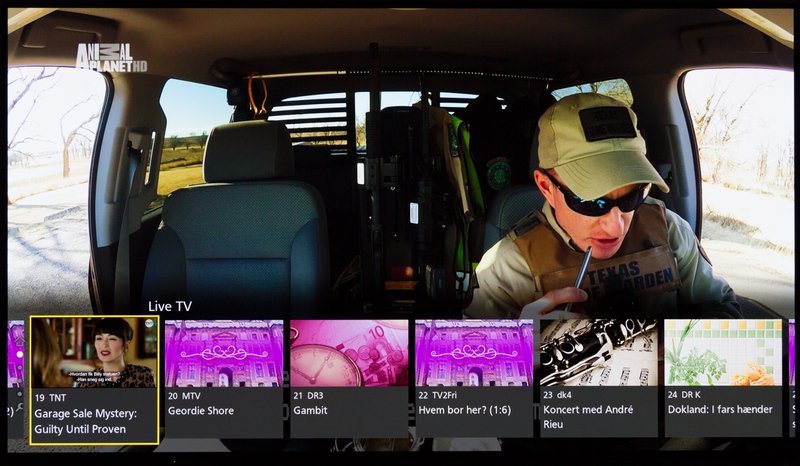 In the picture below, I have included side-by-side the TV Guide on both TVs – try to guess which one is which. 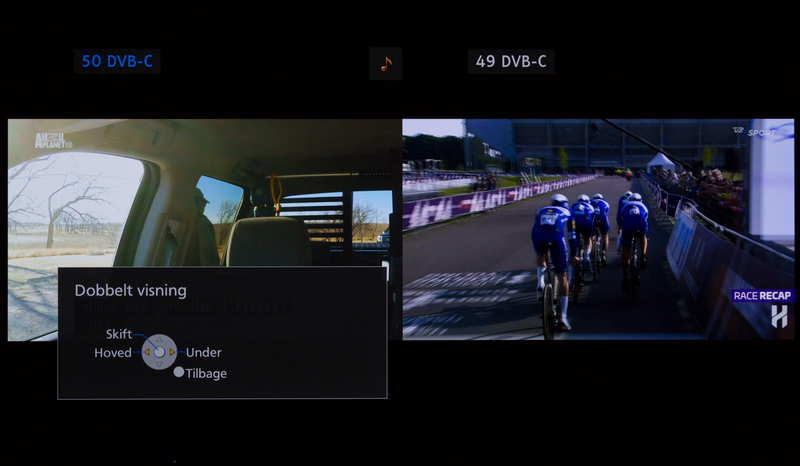 There is dual tuner and dual CI port, so you can watch and record two channels (via PbP) at the same time. Unfortunately, PbP still has some limitations. When activated you cannot use other picture modes that ‘Standard’ and ‘Dynamic’, which is clearly not ideal as both look horrible. It is also possible to use picture-in-picture via the new bottom menu, which is a better solution. Unfortunately, the menu disappears after a short while so it is not a solution. There is not much else to add regarding TV channel functionality since it has not been improved upon in meaningful ways for many years. 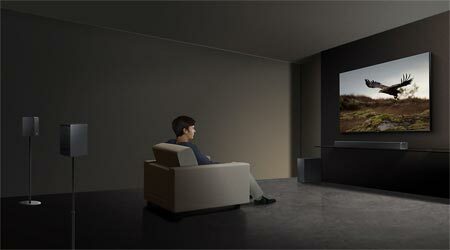 Like last year, Panasonic offers two OLED TV ranges this year. FZ950 is equipped with a soundbar whereas FZ800 relies on integrated speakers. 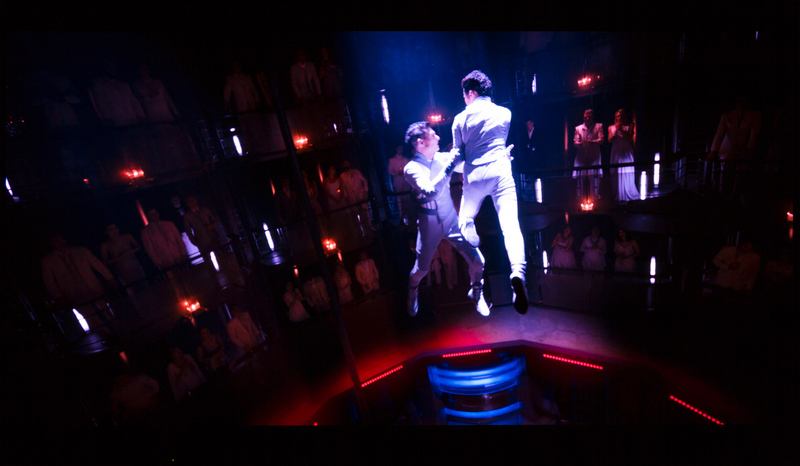 Human voices are clearly audible but the integrated speaker system lacks bass and vigor in the sound stage. 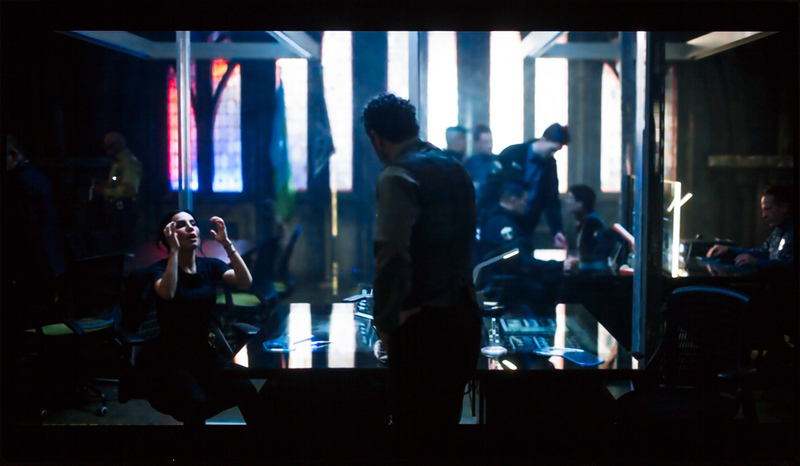 This is the norm on modern TVs and we recommend that you add a soundbar or a more powerful sound solution. You could also consider stepping up to FZ950 given that the price difference this year is modest. Panasonic’s signature has always been the breadth of picture setting options available that have allowed professional users to fine-tune many aspects of picture quality. All of these settings are also available on FZ800. The ”more is better” principle shines through here as well and when I opened the picture settings menu, I counted a total of 10 picture modes. The first two are the awful Standard and Dynamic modes, Sports and Game make four, and the last six are various attempts at offering accurate colors. It all feels a little overwhelming and from a user standpoint it is hard to understand why there are so many when several of them deliver more or less identical results. As mentioned earlier, you can hide the picture modes that you want to avoid when using the shortcut button on the remote control, which is handy feature. We ended up using Professional 1 as our starting point. It is a bit too warm and reddish compared to the 6500K reference, and not 100% accurate in colors. Some minor adjustments mostly corrected the gamma curve. Panasonic even offers 10-point gamma adjustment, which allows a user with measurement equipment to fine-tune things after having tweaked the 2-point settings. As you can see, our adjustments slightly affected the yellow secondary color. This can be fixed with the CMS options but historically this has led to the introduction of gradient banding so, if possible, we prefer to stay out. The result of our fairly basic calibration is convincing and as mentioned above we did not even take advantage of the options to further fine-up parameters. We obviously measured full coverage of the Rec.709 color gamut (used for SDR – SD, HD og 4K), whereas coverage of DCI-P3 (used for HDR) hits 97%, which is more or less comparable to other OLED TVs. The EOTF (luminance) curve tracks the HDR reference with only minor deviations (slightly too bright at the dark end and slightly too dark at the bright end) but this should be fixable through HDR calibration. As our calibration shows, it is easy to fine-tune one of the many picture modes to deliver very accurate colors, to a point where the naked eye cannot perceive any differences compared to the reference. Even without further adjustment, FZ800 delivers relatively accurate pictures in THX Cinema, True Cinema and the Professional modes. The only real differences between these modes are how many, or few, dynamic enhancements that are enabled. Starting with HDR, FZ800 is based on a 2018 OLED panel from LG.Display, which can apparently – judging from our LG C8 testing – hit slightly higher peak brightness levels than the panel batch from 2017. 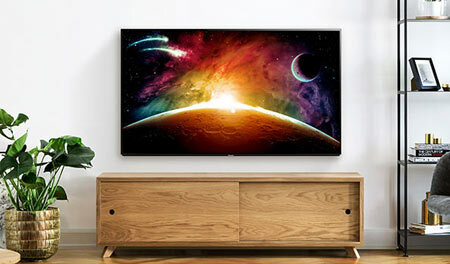 Panasonic generally favors higher peak brightness than other manufacturers in its OLED TVs and peak brightness came in roughly at the same level as last year’s EZ950, which is more than what Sony has opted for. As a result, HDR picture quality has not moved much but is just as good as last year’s models. The EOTF luminance curve is tracking the target reasonably well and rolls off around 60% without drama in the highlights. As you may know, OLED is a self-emitting display technology meaning that it controls luminance on the pixel level, which is ideal for HDR reproduction. And FZ800 is amazing for HDR. 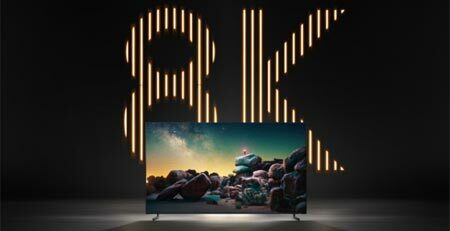 Panasonic has decided to jump on Samsung’s bandwagon and adopt the HDR10+ format, which unfortunately also means that it has decided to ignore Dolby Vision. 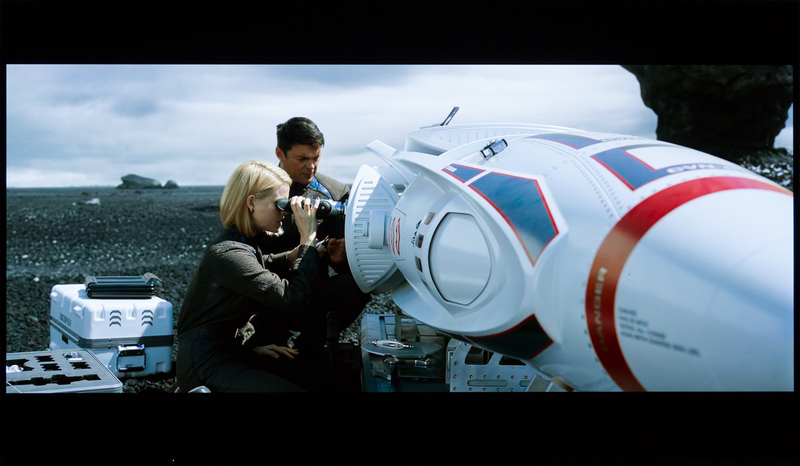 On the other hand, judging from the current problems that plague Dolby Vision that may actually be an advantage... There is very little HDR10+ content available at the time of writing so we cannot accurately assess performance in this area. 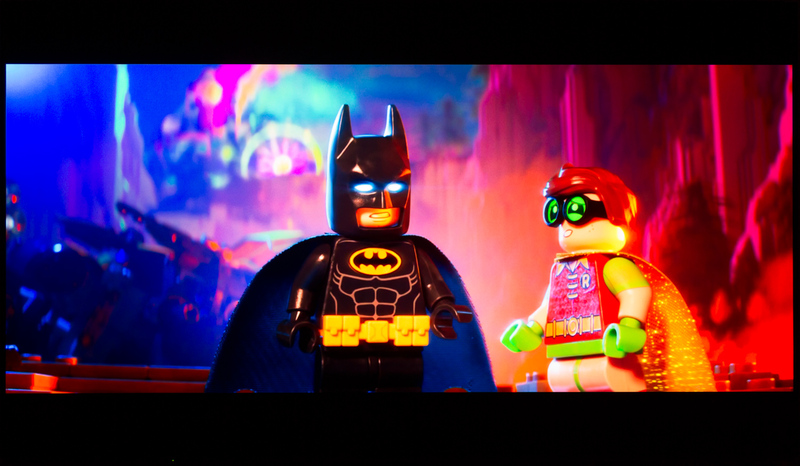 Dolby Vision and HDR10+ can optimize picture quality on scene-by-scene or even frame-by-frame basis through the use of dynamic metadata rather than setting brightness parameters once for the full movie. 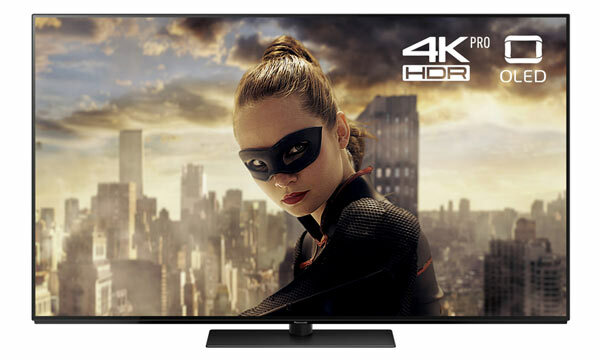 However, FZ800 handles HDR video so well that the missing Dolby Vision support, and the lack of HDR10+ content, should not discourage buyers seeking a good HDR TV. Speaking of HDR compatibility, you should be aware that only two of the HDMI ports have full bandwidth to handle 4K HDR at 60 Hz. 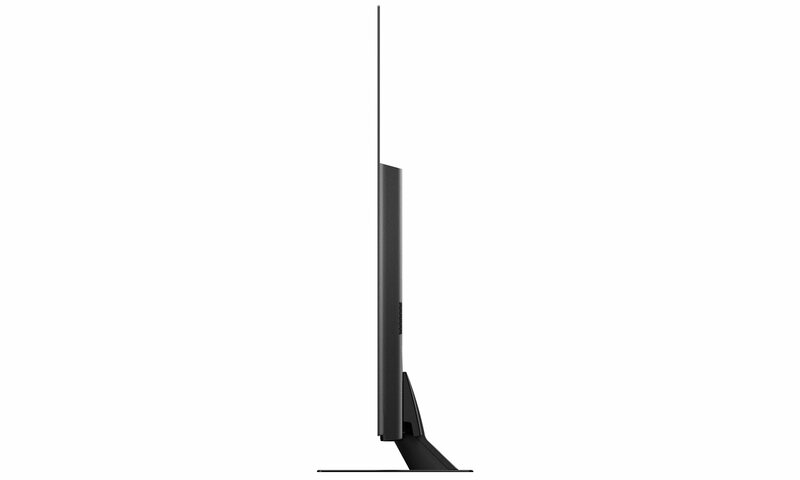 This is not uncommon as Sony TVs suffer from the same limitation. Luckily, these two ports are the down-facing ones but it nevertheless seems cheap. Manufactures should surely equip high-end TVs in 2018 with at least four full-bandwidth HDMI ports. LG and Samsung offer four full-bandwidth ports in their TVs. We noticed some minor banding on our 10-bit gradient patterns but nothing too alarming and in actual use it never appeared to be an issue. In these streaming times, banding is more likely to occur from too hard video compression and in this area FZ800 did not manage to compensate as well as Sony A8F did. 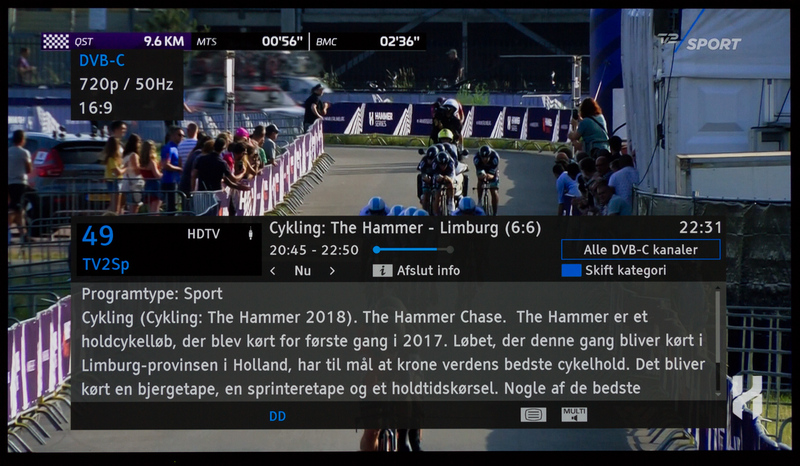 This is where we want to encourage streaming distributors in general to serve better video quality to users but the reality is that a lot of video today is being fed into TVs via streaming sources where compression is a key parameter for cost optimization for the distributor. Switching our attention to SDR video (SD, HD, and 4K), FZ800 does a commendable job. Last year, we complained about occasional stutter in motion but it appears to have been fixed completely on FZ800 if you remember to deactivate Panasonic’s motion system IFC (Intelligent Frame Creation). 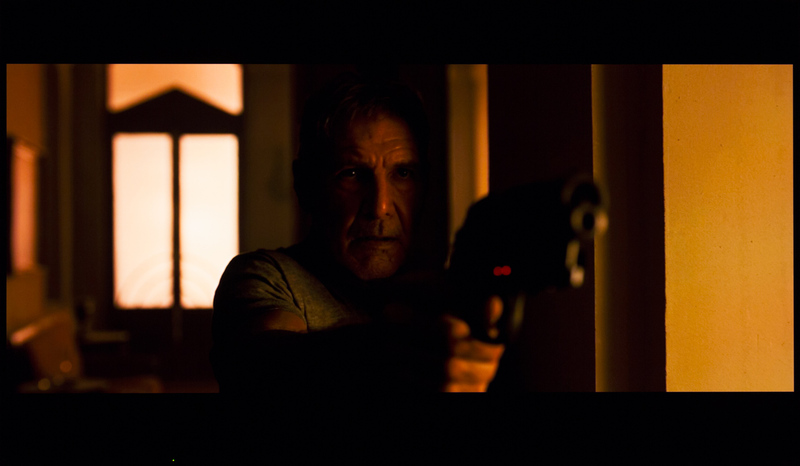 However, with IFC deactivated we encountered the issue with OLED panels’ ultra-low response time, which is so fast that it has a tendency to make motion in video shot at low frame rates (such as 24Hz movies) appear stroboscope-like during bright scenes. If you prefer to have IFC activated, we would recommend that you select the personal profile and stay below 3-4 to avoid introducing motion artefacts. However, you will need to endure occasional stutter so it is not a perfect solution. Without IFC, motion resolution drops somewhat and it comparable to last year’s model, and not as good as Sony A8F and LG C8 (even with IFC activated). It is a trade-off between improved motion resolution and motion artefacts. 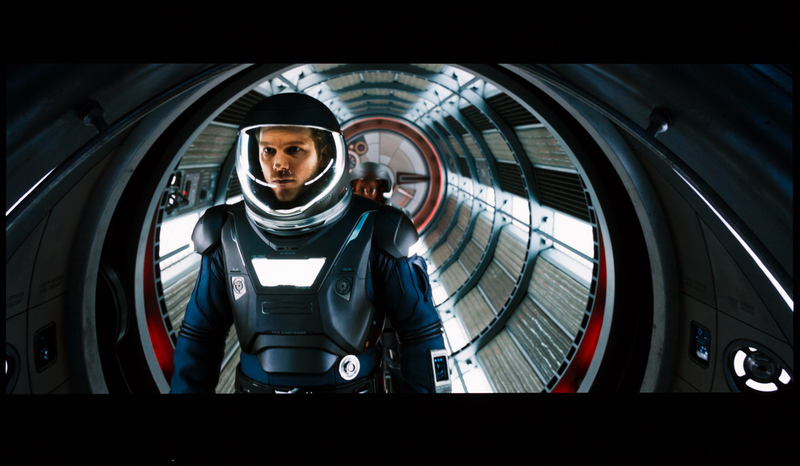 It is possible to activate Black Frame Insertion (BFI) on FZ800 but just like all other OLED TVs, it runs at a too low frequency to make it even remotely bearable for me watching a movie or anything else. Brightness also drops considerably. Some people may be able to accept this but I have yet to find myself in any situation or scenario where I preferred to have BFI enabled. 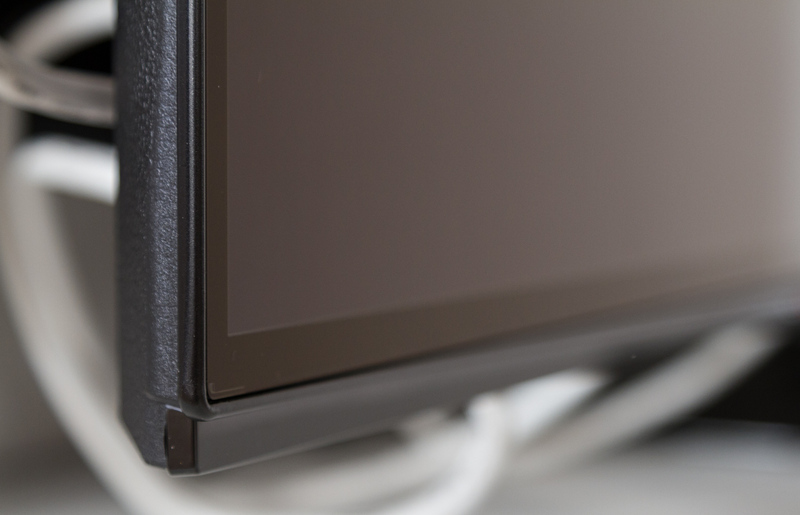 In this area, LCD TVs still offer benefits with their scanning backlight systems that can actually improve motion in various ways. 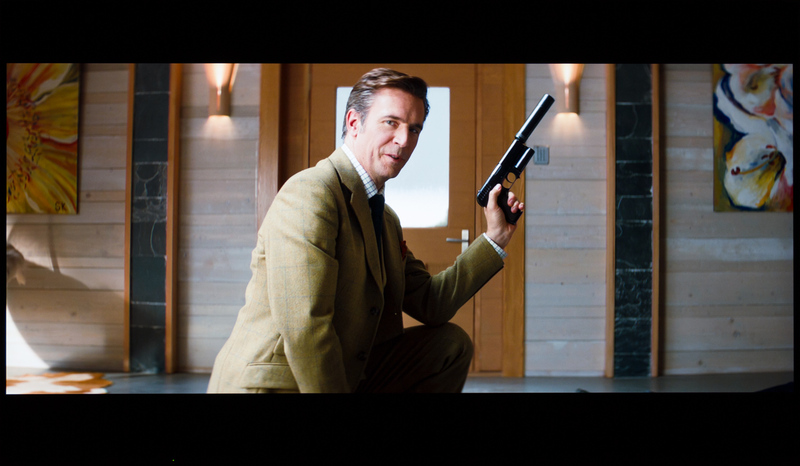 Sony X900F (XF90) currently sets the bar in this area. Panasonic’s user interface for TV channels, including elements relating to the TV Guide and info boxes, is mostly unchanged. 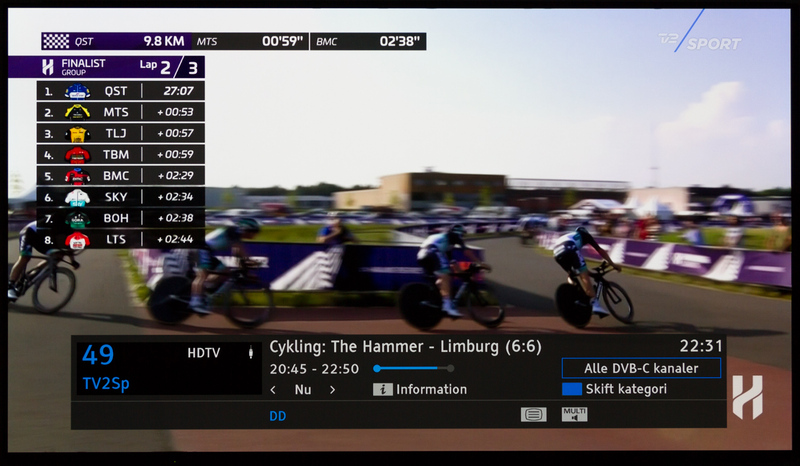 Still, FZ800 delivers a good channel viewing experience, despite the poor resolution and bitrate of today’s broadcast channels. Of course, picture quality depends mainly on source quality and like all other video processors, Panasonic’s HCX video processor cannot make poor sources look great. 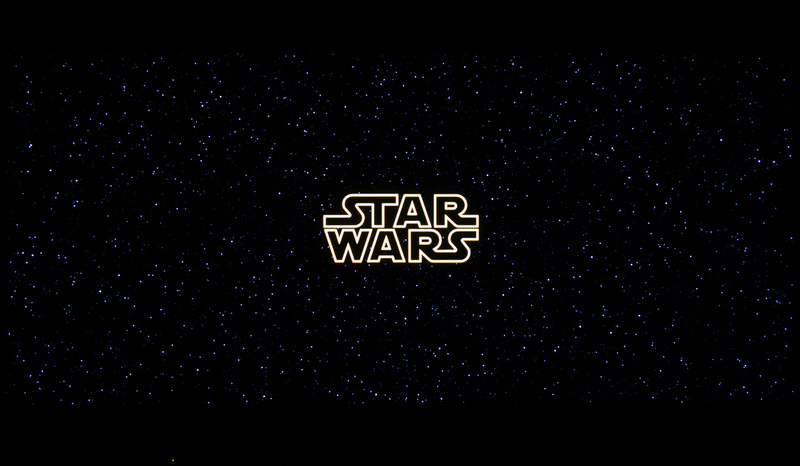 Still, it handled interlaced, progressive, and other broadcast elements well. People upgrading from a Panasonic plasma TV will even find the interface familiar. Surprisingly, we found that FZ800 crushed the very darkest grey tones after our 2-point calibration, despite our measurements suggesting otherwise (we did not adjust the dark grey tones – only the bright tones), leading to a bit of “black crush”. It is not a critical problem because the effect is very limited but we could confirm that the IRE 1 grey tone was essentially black, even when taking a photo with 20s exposure. The very darkest grey tones also reveal light inhomogeneity, which continues to plague OLED panels. FZ800 suffers from banding up until around IRE 5 (dark grey). 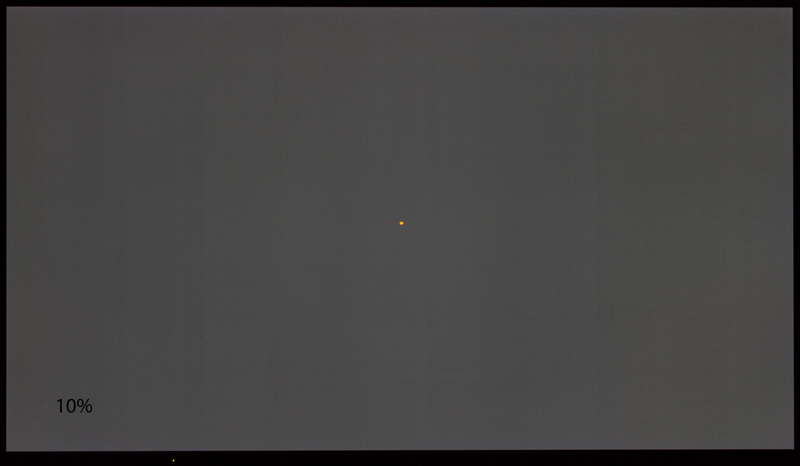 Our long exposure shots below reveal that there are also a few other panel artefacts in the form of a bright square that looks like a calibration window plus some horizontal static menu elements. None of our test patterns fit as we typically use windows with smaller coverage, and we are the first to receive this particular sample. Panasonic sent us a second sample (also brand new) in order to double-check but unfortunately we saw a very similar issue on sample number 2. It is conceivable that the issue has been introduced during Panasonic’s factory calibration. Nevertheless, we must conclude that homogeneity on our FZ800 is worse than the other OLED models that we have reviewed this year. On the other hand banding was less visible on sample number 2 so panel variation is clearly playing a part here. The issues did not show up while watching actual content and was observed only when using full-screen test patterns. We did not observe any color tinting issues. FZ800 has two options for enabling game mode. One is the traditional way of activating the ‘Game’ picture mode, while the other is a game setting option that can be enabled for any picture mode. Both options bring input lag down to around 21 ms but they differ in other aspects. You can add a shortcut to the ‘Game’ picture mode that can be reached from the Picture menu via the remote control. The game setting option can be enabled for the HDMI port that your game console is connected to for any of the more accurate picture modes (for example Professional). 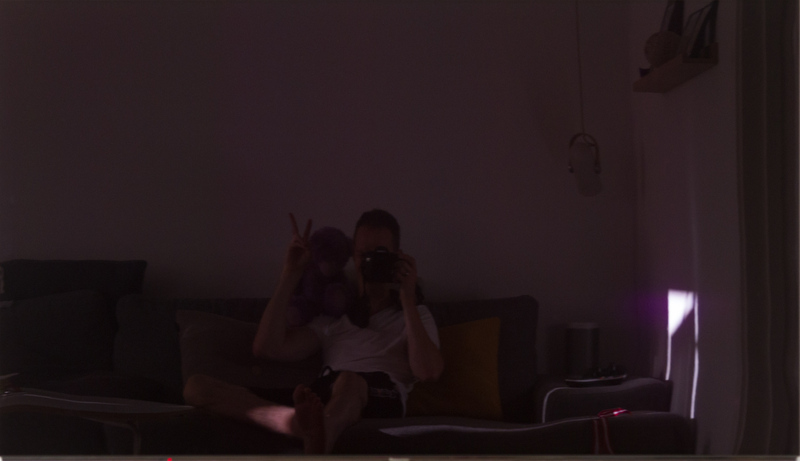 The Game picture mode forces everything into the DCI-P3 color space, which is very poor practice as it forces non-HDR games that conform to Rec.709 into DCI-P3, with wildly inaccurate colors as a result. The other picture modes can correctly switch between color spaces that correspond to the input signal, so we recommend that you use the game setting option rather than the ‘Game’ picture mode. The viewing angles on OLED are very wide and FZ800 is no exception. 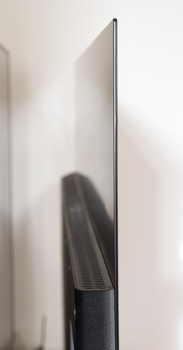 Some of the early Panasonic OLED TVs exhibited a red tint off-axis but this is no longer the case, and FZ800 can be enjoyed from anywhere, and from any angle, in the living room. The static bright element that can be seen in our long-exposure photos has burn-in characteristics but we cannot confirm what has caused it. The patterns that we use during long stretches of calibration or measurement are typically visible for a few minutes after the tests have concluded and then disappear entirely. 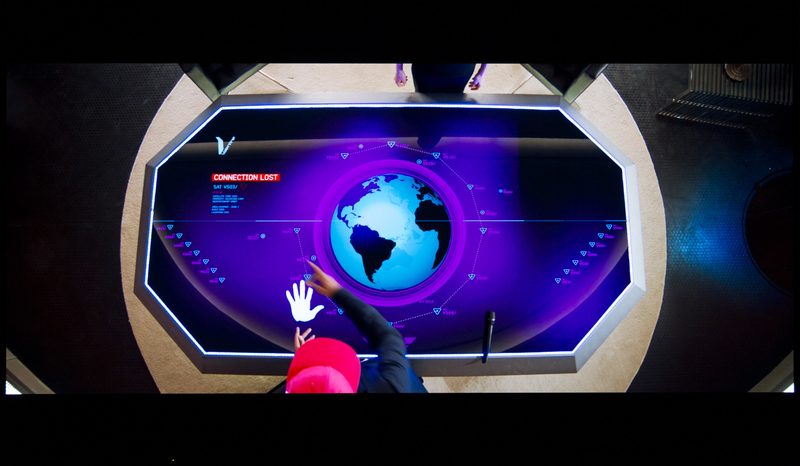 Most OLED TVs have built-in screensavers that automatically kick in if the picture has been static for too long and in addition they use a screen wiper mechanism that runs for about an hour when the TV is off. It is meant to equalize or reset power draw for each individual pixel to reduce the risk of burn-in. However, the screen wiper did nothing to alleviate the issue we observed so we are currently awaiting comment from Panasonic. - "For us it’s important that you receive a sample of our new products as soon as possible and to be able to do that the samples that we send out for testing are not from mass production, to be sure that the samples are working properly we are following an internal process to check these samples before sending them out to test. One part of our process is that we measure the panel and picture parameters by a 25% window pattern, we have now found out after a deep investigation that this measurement has caused the pattern of a square in the panel you have tested. This is not effecting any of our products in the mass production and we have now change our internal process from now on." Panasonic has slashed the prices of this year’s OLED models and as such FZ800 is far cheaper than last year’s EZ950. Still, the resemblance is striking. We are essentially looking at the same TV with the same strengths and weaknesses, and if it had not been for the user interface facelift, one could easily mistake the two TVs. There is one tangible difference, though. As a cost-saving measure, Panasonic has decided to bundle the cheap plastic remote control that also comes with the mid-range models. Unfortunately, many connection ports still point out towards the wall. The ‘My Home Screen’ 3.0 platform offers a few of the most popular streaming apps but is severely lacking in most other areas. App developers are simply not onboard with the project. The My Home Screen user interface is an overlay on top of Panasonic’s menu system anno 2010. While this may appeal to Panasonic fans, it is started to look and feel seriously outdated but things work and there are lots of advanced picture setting options that allow advanced users to tweak things. As for picture quality, Panasonic offers a total of 10 picture modes and it is relatively easy to achieve very accurate colors. Motion has not improved this year and FZ800 cannot match Sony and LG’s latest algorithms in improving low frame rate motion. From a more holistic perspective, FZ800 more or less matches other 2018 OLED TVs in terms of picture quality, approaching reference class. OLED TVs from the big brands are quite simply very close in performance. Unfortunately, our two samples suffered from banding in dark tones and other panel artefacts in dark colors that were primarily visible in long time exposure shot (Update 2.7.2018: See Panasonic's statement above). Considering that Panasonic has changed gear and made both FZ800 and FZ950 much cheaper, it may be a good idea stepping up to FZ950 to gain improved sound and the premium remote control, if you value those things. In our region, FZ800 costs as much as Sony AF8/A8F that has advantages in some areas. Still, FZ800 delivers great picture quality and is certainly worthy of consideration.